Although Carly Misiewicz would have liked to see her Princeton High boys’ and girls’ swimming squads in the hunt for team titles at the Mercer County Championships last Saturday at WW/P-North, she believes the program laid the foundation for future success. Featuring a number of talented freshman performers, the PHS girls took sixth in their meet, which was won by the Hun School. Walden took third in the 200-meter freestyle, while DiVenti finished fourth in the 200 free and fifth in the 400 free and Liu placed sixth in the 100 backstroke. Tigers, excelling in two ‘A’ finals. “Cammie was a standout as usual, getting second in the 100 free and fifth in the 100 backstroke,” added Misiewicz. As for the PHS boys, the Tigers finished fifth in the team standings behind champion Notre Dame and provided one of the highlights of the day for the program, winning the 200 free relay. “That was fun, that is probably one of the best races and most exciting to watch,” said Misiewicz, reflecting on the effort of her quartet of sophomore Will Murray, freshman Logan Eastburn, senior Oliver Tennant, and junior Jeshurun Reyen who clocked a winning time of 1:41.42. Misiewicz was pumped by the individual work she got from Reyen, Murray, and sophomore Owen Tennant. 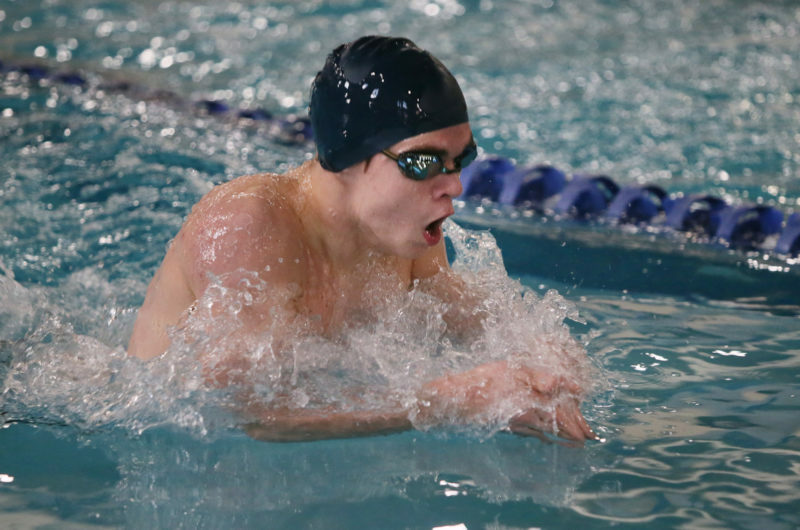 “Jeshurun had a great meet; he had a great swim in the 50, getting third,” said Misiewicz. With the state sectionals on the horizon, Misiewicz believes her swimmers can build on their effort at the county meet. “We have a week and half before the states get started, so I think we can benefit from this time off to recover and then get back into racing,” said Misiewicz.